Getting my children to eat a variety of vegetables starts early…in February. While it’s still chilly outside, we break out the plastic cups, soil mix, and vegetable seeds. 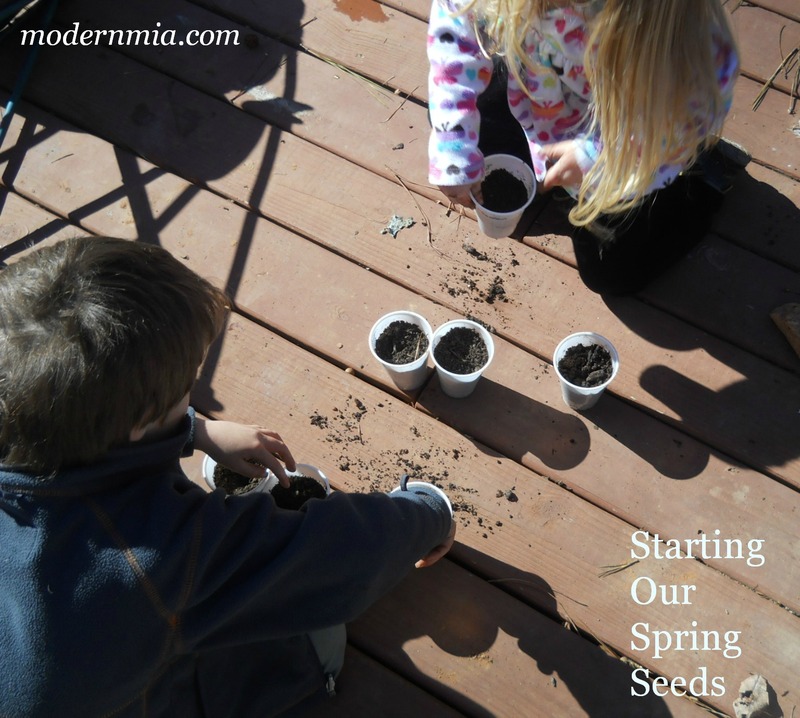 Starting seeds is the perfect cold weather, indoor activity. Growing their vegetables from seed to harvest peeks their interest in trying new varieties and wonder at watching them grow. Playing in a box of dirt makes it all the more fun. ABOUT MIA: Mia is a wanna-be vegetable gardener, suburban homesteader, homeschool teacher, and superhero in disguise. We grow whatever will survive our efforts and toy shovels. Sometimes the shovels win, sometimes we win. And sometimes the squirrels just run away with the tomatoes. Garden with us on ModernMia.com, Twitter (@modernmiagarden) and Facebook (Modern Mia Gardening).